Amid the sudden, late onset of a proper winter in New York, I’ve ridden to work far more often than normal in recent weeks via a longer route over the Brooklyn Bridge. The route, as well as being a pleasant change from my normal ride over the Manhattan Bridge, cuts down sharply on the amount of time I spend sharing snow-clogged Manhattan cross streets with irritable, aggressive drivers. Yet the ride also affords me a chance to ponder a deep and sometimes under-recognised truth about New York City. As I cross the bridge, I marvel at the thickness of the bundle of suspension cables that holds the bridge deck in place - and remember the story behind them. 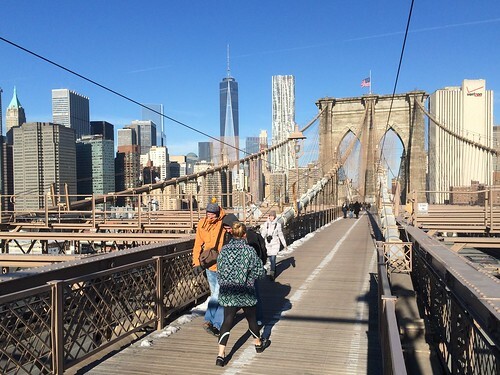 The bundle is much bigger than the bridge’s designer, John Roebling, originally intended. Extra, up-to-standard wire had to be added after Washington Roebling, John’s son, discovered that corrupt contractors had sneaked large quantities of sub-standard wire into cables that had already been painstakingly stretched across the East River. Graft is literally woven into this bit of the city’s fabric. Corruption is far from being a mere historic issue, however. The more one grapples with the challenges facing New York City, the more one comes up against relationships that powerful people’s pursuit of money or power have skewed away from working as intended. These pieces of corruption range from relationships that are straightforwardly crooked, as the relationship between the bridge builders and the wire contractors was, through a series of more or less grubby compromises to relationships that seem like a form of democracy. At that end of the scale there are institutions like the Community Boards that are meant to protect communities’ interests in planning decisions but instead end up as the vehicle of noisy vested interests. the reversal of progress made visible. 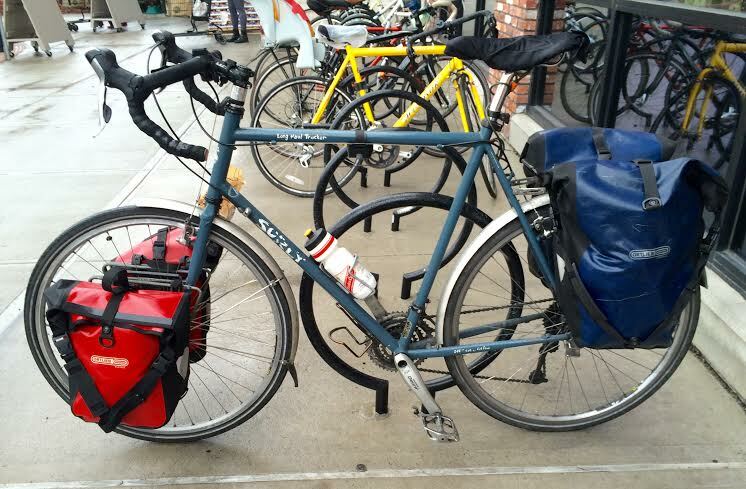 Cyclists are peculiarly aware of this dysfunctionality, I think, because it is a profoundly conservative force. It seeks to entrench privileges and works against change. In a city that’s nominally trying to increase its cycle commuting rate from a modest 1 per cent, that means that many of these forces are aligned against making life easier for cyclists. If one doesn’t take into account how these fundamentally regressive relationships shape life in the city, it’s impossible to understand the near-halting of progress on cycling in the city since Janette Sadik-Khan, the city’s one-time transport commissioner, stood down at the end of Michael Bloomberg's time in office in 2013. Without an advocate as forceful and effective as Sadik-Khan, regressive, conservative, corrupt forces have largely overwhelmed the continuing faltering efforts under Bill de Blasio towards change. The scale of the challenge is clear if one thinks carefully about one of the few pieces of progress to have been made recently – the decision on February 2 by Manhattan’s Community Board 7 to approve installation of a protected bike lane on Amsterdam Avenue on the Upper West Side. The decision followed years of study and months of blocking by the co-chairs of the Community Board’s transportation committee. It was passed only after hundreds of advocates turned up at both the February 2 meeting and one in November. If such a vast lobbying effort is required to win approval for a 38-block (less than two miles) project – one that everyone except a handful of angry carowners agrees is sensible and needed - it’s unsurprising that city-wide progress towards building a cycling network looks a distant prospect. parked unnecessarily in the Hoyt St bike lane. My mind started turning to the ubiquity of corruption in New York the night after the CB7 vote, as I rode home from work through a damp Brooklyn. As I rounded the corner from Schermerhorn Street into Hoyt Street in downtown Brooklyn, I was forced to brake suddenly on finding two big sports utility vehicles blocking the narrow street’s bike lane. 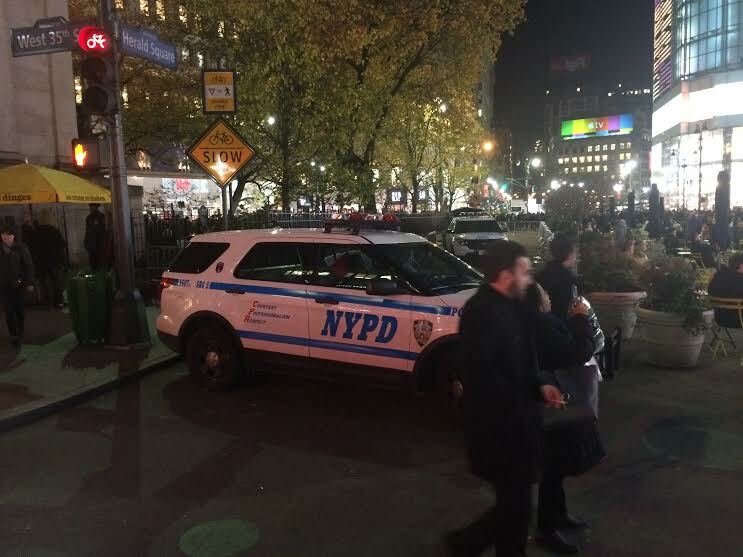 Knowing that the area was a popular parking spot for police vehicles from the New York Police Department’s nearby transit bureau, I suspected these were officers’ private vehicles. 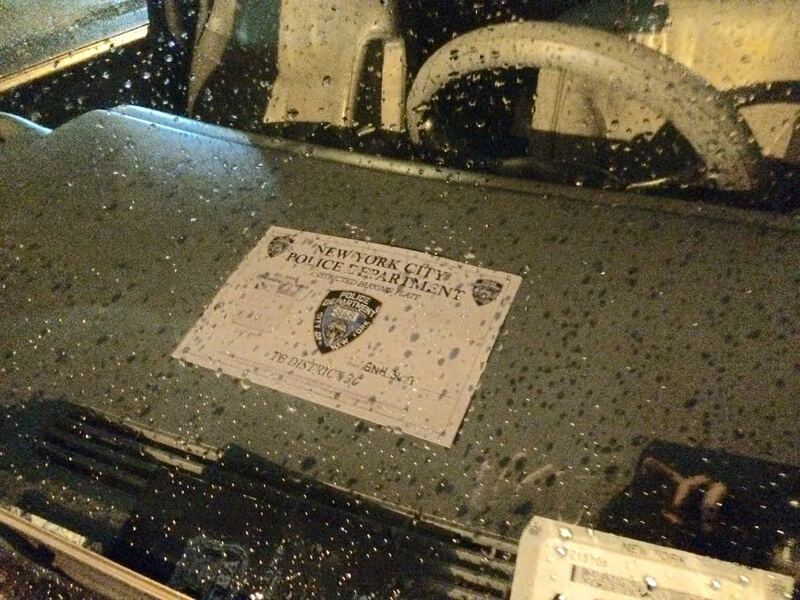 Sure enough, on inspection the dashboards of both vehicles sported NYPD placards that police officers regard as essentially permission to park illegally wherever they choose. The following night, another private police vehicle was parked in exactly the same place. Tweets to the NYPD Transit Bureau about the issue went unanswered. if you can't break the law with impunity? The incident reveals a telling type of petty New York City corruption. 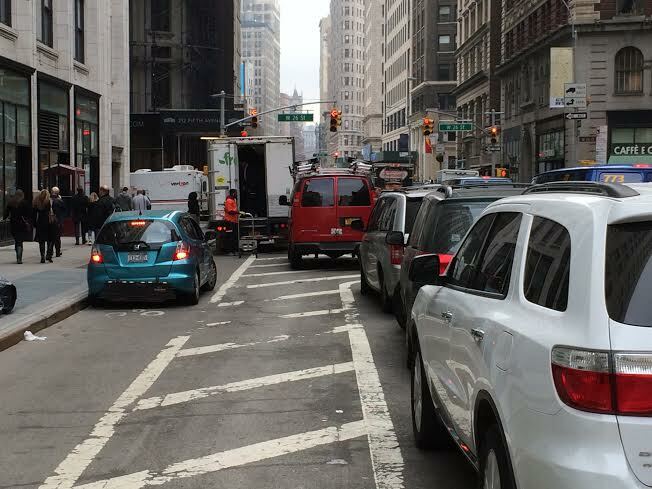 Every morning as I battle my way down Jay St in Brooklyn to reach the Manhattan Bridge, I encounter scores of illegally-parked vehicles, obstructing turning lanes and other important places on the road. The police leave them untroubled because they bear some kind of official-looking placard – often of dubious provenance - identifying the owner as a police officer, corrections officer or firefighter. The problem illustrates the primacy of organisational culture – in this case, the feeling that emergency personnel should stick together, whatever civilians might say – in many areas of New York public life. Loyalty to the interests of one’s group – whether one’s fellow professionals, members of the same ethnic group or people who want to defend some other privilege – exerts a far more powerful force in the city than most of the formal rules meant to govern it. I also sometimes encounter on Jay St a red-light sting for cyclists, at the relatively quiet junction of Jay St and Concord St. The intersection is the only point on Jay St – where there is a daily riot of highly dangerous illegal double-parking, illegal U-Turns and crosswalk blocking – where I regularly see enforcement activity. In a city where motorists are still often portrayed as a proxy for ordinary, working-class New Yorkers, it is far easier for the police to pick on relatively powerless cyclists to make up their monthly ticket totals than to take the rational course of trying to stamp out the behaviour that does most damage. Since the police effectively wield far greater power than the mayor, there is little to stop police officers from engaging in this casual sleight of hand. serious a problem cyclist behaviour is here. None of this is to say, of course, that corruption both grave and petty is a uniquely US or New York phenomenon. When I lived in Budapest, I travelled around post-Communist societies far more scarred by corruption than the US. It is also clear that New York is far from being the US’s most corruptly-run city. It would seem almost rude to try to displace either Chicago or New Orleans from their hard-won places at the top of that league table. Yet there is a peculiarly New York City combination of factors that works to overwhelm many positive initiatives, including efforts to promote more active transport. Much of the power over the city is exercised by a legislature 150 miles away in Albany that often seems to view the city as little more than a source of funds. It is telling that in the recent corruption trial of Sheldon Silver, the former speaker of the state assembly, the defence’s (ultimately unsuccessful) case was essentially that the speaker had acted little differently from other members of the state legislature. voting bloc in New York City buys you. New York’s diversity also means the city teems with different ethnic groups whom politicians can court in return for votes and money. 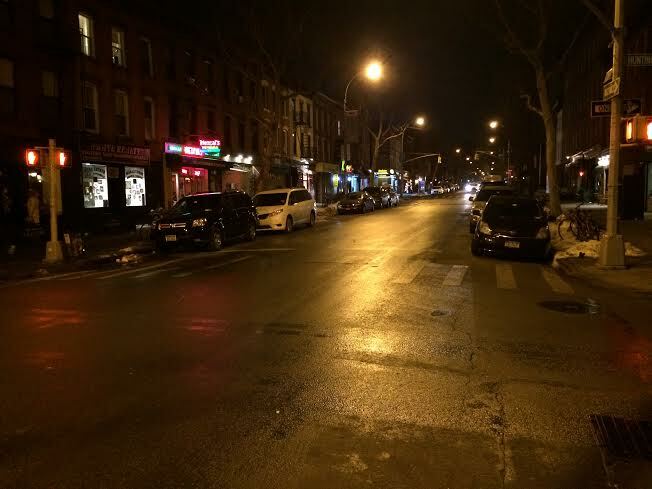 This past Wednesday, for example, I noticed a (since-deleted) Tweet from the @HQSatmar account – from the headquarters of the powerful Satmar Hasidic Jewish community – thanking the local 90th NYPD precinct for allowing them to park their cars across the Kent Avenue two-way bike lane during a community wedding. The apparent official approval for this practice – which forces cyclists and pedestrians out into fast-moving traffic on a blind bend – illustrates how mere convenience for a powerful group can easily trump the law and the lives and health of less powerful groups. A different version of a similar phenomenon was at work when a series of members of the New York City Council who had previously been supportive of safer streets legislation scurried to support amendments that would effectively have excused bus drivers who killed people. It is no coincidence, I suspect, that Transport Workers’ Union Local 100, the bus drivers’ union, is a significant funder of New York political races. The presence of this mass of interest groups willing to defy the mayor’s formal authority has long made governing New York City one of the most formidable tasks in US politics. The Brooklyn Bridge corruption was a result, for example, of the presence on the bridge company’s board of directors of William Tweed, the famously corrupt boss of Tammany Hall, the hugely influential Irish-American political club. Vincent Impellitteri famously became leader of New York’s city council – and subsequently, by default, mayor when the incumbent resigned – simply because he was an Italian from Manhattan. He was needed to balance out a Democratic slate for top jobs that already had on it an Irishman from Brooklyn and a Jew from the Bronx. It is far easier, it seems to me, to work the levers of power in London, where identity politics plays a far smaller role, than in New York. It is no coincidence that cities in relatively uncorrupt northern Europe have had far more success in steering through complex transport projects such as cycling networks and high-quality public transit than southern European countries with a longer tradition of corruption. The flipside of New York City’s ungovernability, meanwhile, is that it has been disproportionately shaped by the handful of people with the mix of skill and ruthlessness needed to get things done. In the 20th Century, tragically, the most notable such person was Robert Moses, the “master builder,” who, holding an unconstitutional mix of state and city jobs, promoted car-dependence by halting subway building and diverting resources to building a poorly-planned highway network, which wrecked many neighbourhoods. So far in the 21st century, Sadik-Khan, who will celebrate her achievements in a new book out on March 8, has proved more adept than most at overcoming the city’s corrupt conservatism. She closed some of the streets through Times Square, put bike lanes down Broadway and many other important streets and forced a badly-needed bike lane down Prospect Park West in Brooklyn. The Prospect Park West project – over which a handful of rich locals continue to sue the city – went in over the noisy objections of, among others, the wife of New York’s senior US senator. Sadik-Khan oversaw huge increases in the numbers of people cycling, even if cycling’s share of trips remains negligible. Yet it is clear that, while Sadik-Khan did a superb job of forcing through building projects, she was not able to make activists for cycling and walking a group that New York politicians genuinely had to fear. Transportation Alternatives and other lobbyists for a saner, more rational transport system remain supplicants to the city’s power brokers, rather than one of the successful groups that the power brokers have to court. One evening in early December, I encountered depressing evidence of the fate of groups who fail to get themselves into a sufficiently strong position in the city’s pecking order. I rode down the Broadway bike lanes as far as Herald Square, by Macy’s department store in midtown. 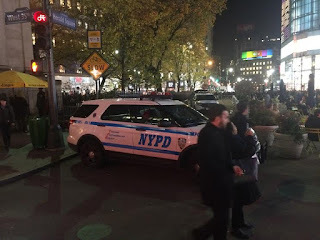 But at Herald Square – which Sadik-Khan still holds up as an example of what can be achieved, with effort – I encountered two large police SUVs parked across the bike lane, closing it. I have heard so many reports since from other cyclists that I gather the police have more or less permanently barricaded the route. There were no explanations, diversion signs or notices to alert cyclists to the change. The closure appeared to be a result of an entirely arbitrary police decision that cyclists could no longer use the route built for them only a few years ago. But, as I gazed at the police vehicles parked sullenly across my path, that almost seemed to be part of the point. It was always going to be a moderately challenging bike ride. It was the early evening of Christmas Eve and, after it emerged that our local wine merchants was already shut, I and my bike had been deputed to lug back from somewhere further away the wine supply for the holiday season. Even a solidly-built touring bike is apt to handle oddly when laden down with 12 bottles full of wine. But the trip became significantly more stressful after the driver of an SUV started driving close behind me, honking, in an effort to bully me out of the way. I was riding well out in the lane, to avoid a deep and dangerous crack in the tarmac. That outraged the driver, who thought he shouldn’t have to cross into the neighbouring lane to pass me. “I thought you should be riding further to the left,” he said, when I found him unloading passengers near my building and asked what had provoked him. “There was a huge crack in the road, which I was avoiding,” I told him. “I didn’t know that,” he replied. “Which is exactly why you should concentrate on overtaking me safely, and not trying to get me to ride in the place of the road you think I should,” I said. The incident was one of countless times I’ve had to cope with road users’ efforts to bend someone else’s driving, cycling or walking to their will. Just a few weeks before the Christmas Eve incident, I’d had a driver deliberately accelerate his SUV at me in Greenwich Village after I shouted out to him to alert him to my presence, to ensure he didn’t swing across my path. Yet I also recognise there are plenty of times I try to influence other road users to prevent their harming me. 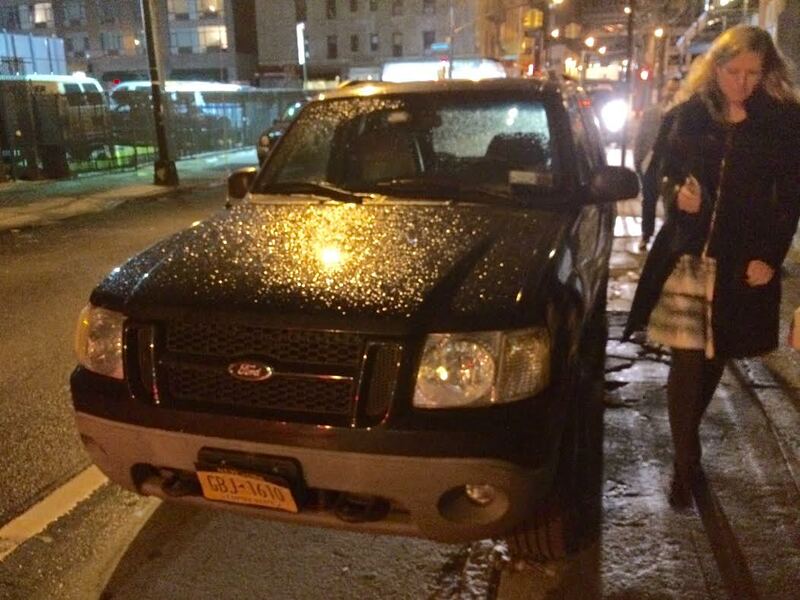 I had, after all, shouted at the driver in Greenwich Village to try to ensure he didn’t drive into me. The question is when it’s legitimate to try to influence other road users’ behaviour and when it’s bullying. Most importantly, it’s vital to ask why there’s all this frustration in the first place and whether it can be averted. The Christmas Eve incident was emblematic of the worst kind of desire to control other users because of the infuriatingly wrong-headed thinking that lay behind it. The driver insisted he’d wanted me over nearer the parked cars because he wanted, he said, to pass me safely without causing an “accident”. It’s the thinking that lies behind vast numbers of drivers’ complaints about cyclists and pedestrians – a thinking on the drivers’ part that they’re the serious adults in the situation, while pedestrians and cyclists are heedless, child-like creatures who have no idea of the danger they’re facing. The thinking betrays a wholesale failure to understand that the driver has prime responsibility for moving his vehicle safely and that safety doesn’t consist primarily of people’s staying out of his or her way. The driver eventually seriously endangered me because I veered into the crack in the road and came close to losing control of the bike. The fatuousness of this thinking doesn’t stop its being widespread. It’s one of the signature features of the driving culture that stems from New York’s poor enforcement and dreadful road design that drivers honk all the time. Every time a driver sounds his or her horn as a rebuke or to prompt someone to move, it’s an effort to control the other person’s actions. It’s nearly always an effort to make life more convenient for the person doing the honking. The big difference between the honking, tailgating behaviour and my regular pleas to drivers to look out for me or stop during an illegal move across my path is the power balance. When I ride through an intersection crying out “Watch out! Wait there!” at drivers, I’m trying to get them to follow rules meant to protect vulnerable road users in cycle lanes and crosswalks. There seems to me a huge moral difference between such a “punching up” effort to control others and the “punching down” effort of drivers like the Christmas Eve minivan drivers to sweep people aside as mere inconvenient obstacles. Yet it was an incident last Sunday, January 31, that brought home to me the reason for all this frustrated communication and how it can be eliminated. I was riding up 7th St in Park Slope, near my home, on my weekly journey to church. I would normally when harassed by drivers on that trip move confidently into the middle of the lane and prevent their passing until the next intersection. 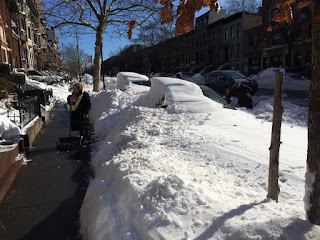 But, last Sunday, unmelted snow from the January 23 blizzard meant the lanes were narrower and harder to navigate. I felt even less confident than normal about trying to “control the lane”, as vehicular cyclists put it. Consequently, when a driver started tailgating me, I meekly moved over to the side of the road and let him pass. A change in the structure of the road had changed, I suddenly realised, my confidence in influencing other road users’ behaviour. That, it came home to me, was critical to all the incidents I encountered. The driver who’d harassed me on Christmas Eve had been deceived by the layout of Court St – which allows two uninterrupted streams of one-way traffic on an urban main street – into thinking he was on little short of a limited-access highway. The driver who drove at me in Greenwich Village was angry partly that I was appearing in his path from a poorly-marked, oddly-placed bike lane that must have made it feel to him as if I were deliberately obstructing him. The dreadful “mixing areas” that bring together left-turning drivers and cyclists going straight ahead on many New York streets are designed like freeway sliproads, to allow turning drivers to slow down without impeding those going straight ahead. While the drivers clearly should obey the rules and yield to the cyclists riding into these areas, it’s unsurprising that so few do. The problems in New York, while less grave than in many parts of the US, are far more acute than those in London, where I’ve done most of my cycling as an adult. Roads in London, while still imperfect for cyclists, are filled with multiple cues to tell drivers what speed to drive and who has priority. I now recognise New York’s honking problem for what it is. It’s the sound of the expectations that the infrastructure has given drivers being dashed against a messy reality that the street design doesn’t reflect. Better street design isn’t the only solution to the problem. It’s noticeable, for example, that one almost never sees bicycles chained to the railings at subway entrances. There’s a general expectation that bicycles chained in such areas will be removed and cyclists have adapted their behaviour to cater to that. There’s little doubt that similarly consistent enforcement of rules about driving might have similarly striking results. That's one of many reasons why New York needs more speed cameras. But it’s pretty clear that it’s vital to rebuild urban streets so that they no longer look like urban freeways. 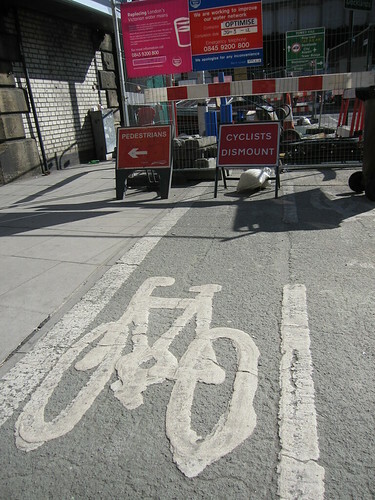 Cycle lanes should never be painted, as most are at present, in the most dangerous part of the street. Areas designed to bring cyclists and motorists across each other’s paths shouldn’t look like they can be navigated at 30mph. For the moment, however, those of us who ride are forced to put up with occasional bullying like that I encountered on Christmas Eve – and to do our best to counter it. 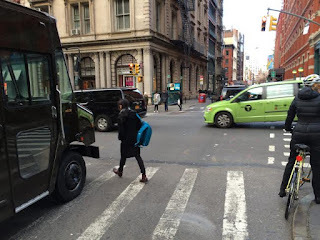 In a city as disorderly as New York, however, that can take real energy and flair – as I discovered one morning last summer as I rode up 1st Avenue towards the New York Public Library. 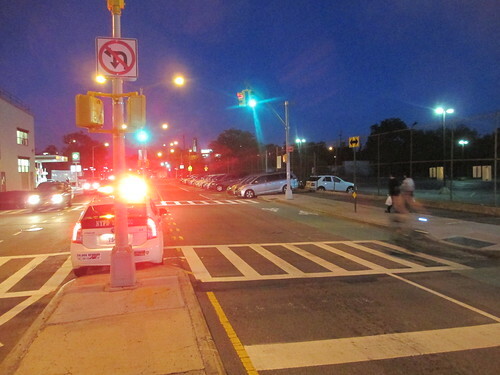 Around 17th St, I encountered, as so often, a line of left-turning drivers blocking the bike-and-car mixing zone as I sought to ride straight ahead. I bleated, “Wait there! Stop!” - to little effect. 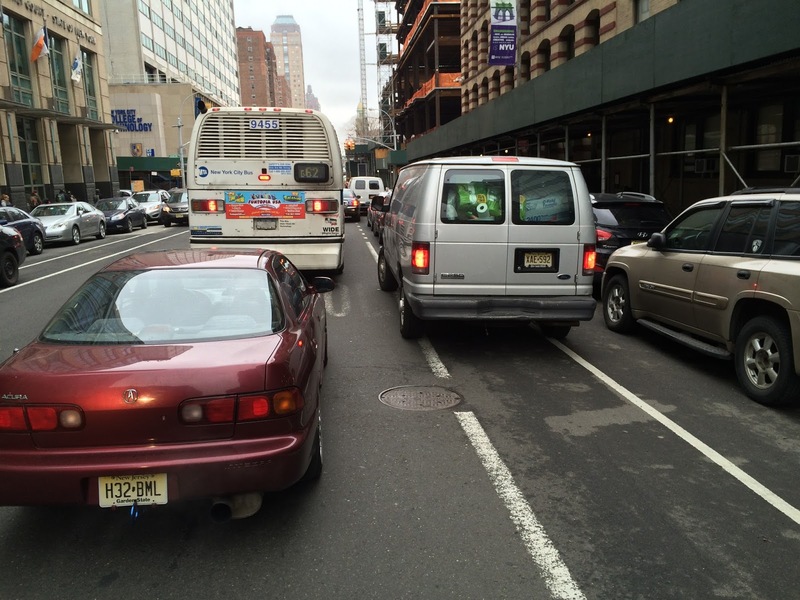 A Black cycle courier who slipped through the gap between me and the rearmost car showed me the level of determination needed to affect the behaviour of New York drivers. Helped more by the drivers’ astonishment than by any actual change of heart, we both slipped by the previously threatening drivers, and headed on north.